Tracking the true history of events during the time of the revolutions in both the Americas and France is a long and difficult process. Many of the facts have been so glossed over by political and religious interests over the years that most of what we believe we know is probably false. After hours of research, looking at all of the events as they reportedly happened, and reading as much written material as possible stemming from that period, we have established the following account, which we believe may be a relatively accurate record of what really happened. Near the end of the Eighteenth Century King Louis XVI of France came up with a plan to tax the wealthy families and the Catholic Church in an attempt to improve the standard of living for the poor and put an end to hunger. The Black Pope, Fr. Gabriel Lenkiewicz, saw this as a way for him to carry out revenge against the Europeans for their role in attempting to destroy the Jesuit Order. Under Lenkiewicz's directive the Jesuits promoted a campaign for change among the people in France. Eventually the people were stirred into rioting in the streets. To end the chaos, King Louis drafted a new Constitution establishing a monarchy that called for real political freedom and democracy for the people of France. Somehow this news did not reach the angry crowds and the rioting turned into a full-fledged revolution. To head off the King’s efforts to establish a peaceful kingdom, Pope Pius VI allegedly ordered Emperor Leopold II of Austria, a Jesuit, to attack France. The historical record notes that Leopold, reacting to the explosive political turmoil created by the rioting, joined with the Prussians in issuing the Declaration of Pillnitz, appealing to the kings of Europe to use force to bring the French government into some resemblance of order. But Leopold died before the Austrians got involved. By 1792 France was subjected to a Jesuit imposed “reign of terror” when more than 40,000 people were executed. Most of them were not given a trial. The infamous revolutionary leader, Maximilien Robespierre, also chairman of a Jacobin group became the key force behind the Reign of Terror. Anyone believed to be opposed to the revolution was seized and put to death. Meanwhile, as troubles escalated in France, Jesuit agent Antoine Christophe Saliceti was grooming Napoleon Bonaparte for his role in the ongoing revolution in that nation, according to the O'Collins story. Napoleon became associated with Robespierre and was promoted to the rank of brigadier general in the military. When Robespierre fell from power and was guillotined in July 1794, Napoleon was briefly put under house arrest for his ties to the brothers. In 1795, after Napoleon helped suppress a royalist insurrection against the revolutionary government in Paris he was promoted to major general. Augustin Barruel, a French Jesuit priest, wrote and published a book titled Memoirs Illustrating the History of Jacobinism in 1897, in which he claimed the French Revolution was the result of a deliberate plot to overthrow the throne and asistocratic society in Europe. Barruel blamed the Jacobins who he said adopted ideas hatched by the Freemasons. The Freemasons, according to O'Collins, are part of the Jesuit web of secret societies. While this was going on there was a revolution in the making among the North American colonists. A young militant, a Jesuit trained agent named Gilbert du Motier, marquis de La Fayette, best remembered in our history books as LaFayette, was sent to the colonies to offer his services. He brought with him French troops and vast gold reserves from France to finance the rebellion. The stolen French gold was placed in the Bank of New York and the new Bank of the Manhattan Company, later to become JP Morgan Chase Bank, according to O'Collins. LaFayette became good friends with George Washington and quickly got involved in the American Revolution. He joined the ranks as a general in command of both French and American forces. It may have been LaFayette who helped tip the scales and assure a successful revolution against the English crown. Meanwhile, in 1796 Napoleon was granted command of the French Army of Italy and ordered to invade the Austrian army in Italy. Napoleon's army also captured and removed Pope Pius VI from power. He was kept under house arrest in France. All of the treasure from the Vatican was moved to Switzerland and stored in private Jesuit banks. This money was used to finance Napoleon's army throughout the successful years of his crusade. The Black Pope, Gabriel Lenkiewicz died in 1798 and Tadeusz Brzozowski was eventally selected to succeed him under the title of Superior General after the restoration of the Jesuits in Europe. Pope Pius VI, who was still a French prisoner, died in 1799 and he was succeeded by Cardinal Count Barnaba Chiaramonti, who assumed the name of Pope Pius VII in 1800. Even though he was recognized as a new Pope, Pius VII also remained a technical prisoner of Napoleon's France. Thus we had a shift of power occurring among the Roman Catholics and the Jesuits. The Concordat of 1801 was an agreement between Napoleon and Pope Pius VII, signed on 15 July 1801 in Paris. It remained in effect until 1905. It sought national reconciliation between revolutionaries and Catholics and solidified the Roman Catholic Church as the majority church of France, with most of its civil status restored. After seizing political power in France in a coup in 1799, Napoleon crowned himself emperor in 1804. He also was successfully waging war against the surrounding European nations and expanding his empire. By now the Jesuits decided that Napoleon was out of control and had to be dealt with. The historical record does not indicate an arrest of the Popes. 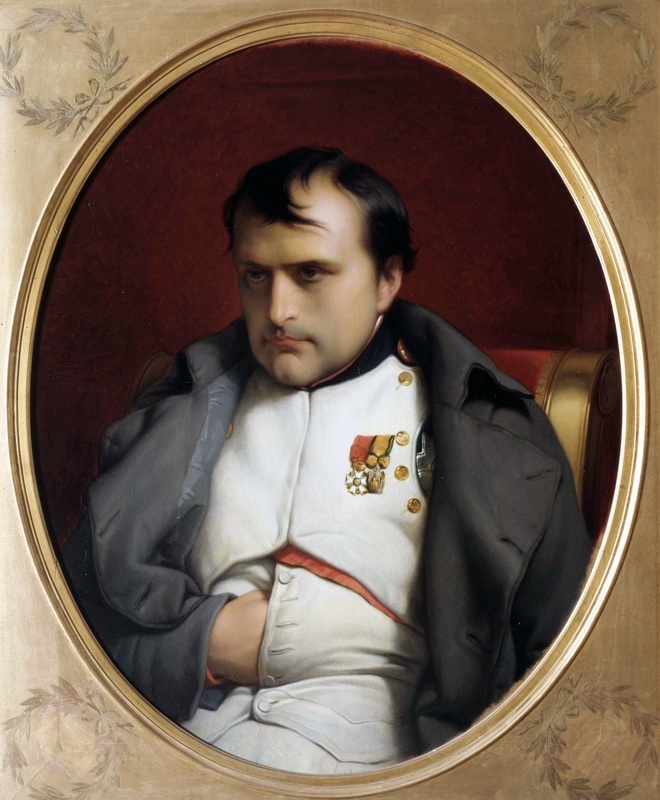 It maintains that once in power, Napoleon worked to improve relations with the Vatican and determined Catholicism to be the main religion of France. Nevertheless, Napoleon's reign was not long-lasting. Between 1803 and 1815 France was engaged in Napoleonic Wars with neighboring nations, especially England. In October 1805 his naval fleet was wiped out at the Battle of Trafalgar. His army defeated the Austrians and Russians at the Battle of Austerlitz in December that year. It was Napoleon's defeat on the wintry fields of Russia in 1812-13 and the defeat of French forces in the Peninsular War and Battle of Nations between 1808-1814 that did him in. With Napoleon's power weakened, General Brzozowski met with Pope Pius VII at his prison in 1814 and a new deal was hatched to restore the Jesuit Order, and to grant it even new lands and rights in Asia. The agreement was that the Jesuits would arrest Napoleon and have Pope Pius VII returned to the Vatican. Also the Jesuits would restate their pledge of loyalty to the Pope and some of the wealth of the church would be returned to the Vatican. Thus it was that the Society of the Jesuit Order was fully restored by Papal letter on August 14, 1914. Napoleon abdicated his throne that same year and was exiled to the Island of Elba. In 1815 he escaped the island, returned to Paris, built up a new army and conducted what was known as his 100-day campaign. British and Prussian forces defeated him at the infamous Battle of Waterloo and this time Napoleon was exiled to the remote Island of Saint Helena where he remained until his death in 1821.